Yeondoo Jung, b. 1969, Jinju, Korea. Lives and works in Seoul, Korea. One of the most prominent artists working in Korea today, Yeondoo Jung was born in 1969 in Jinju, South Korea and received his MFA from Goldsmiths College in 1997. He is the recipient of the 2007 Artist of the Year Award, given annually by the National Museum of Contemporary Art in Seoul. He has had solo exhibitions in Asia, Europe as well as the United States and his works have also been shown in numerous museums and biennales worldwide, including the 51st Venice Biennale and the Liverpool Biennale in 2008. His photographs and videos can be found in important collections worldwide, including the Museum of Modern Art (New York), the National Museum of Contemporary Art (Seoul), The Essl Museum of Contemporary Art (Vienna), and the RISD Museum (Providence, RI). Jung’s work has been consistently honored in biennials throughout the world since the late 90s. The following is a short-list of biennials that have included Jung’s work and a brief snap shot of his projects during PERFORMA 09 (2009), Liverpool Biennial (2004), and the 4th Gwangju Biennale (2002). 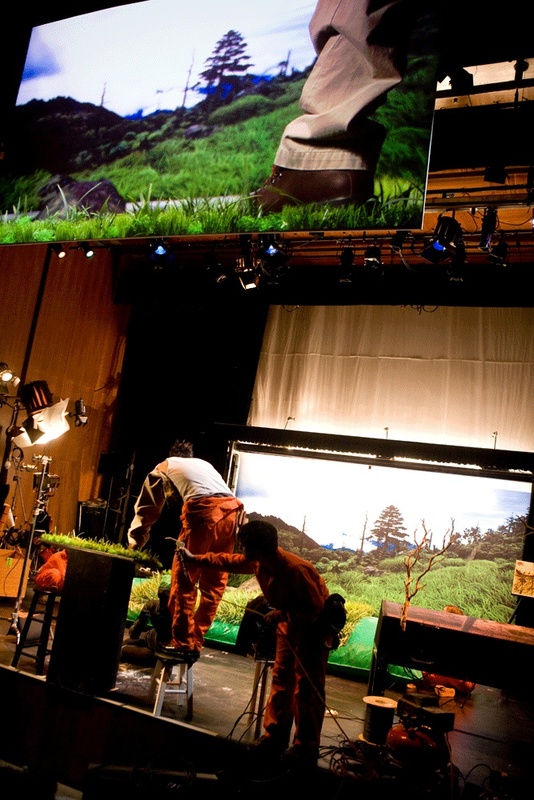 Cinemagician was presented at the Asia Society, New York City, November 2009, and commissioned by PERFORMA with the Yokohama Festival for Video and Social Technology. It was supported by The Korea Foundation and the TOBY Fund, co-produced by Tina Kim Gallery, New York and Kukje Gallery, Seoul, Korea, and presented at the Asia Society, New York. 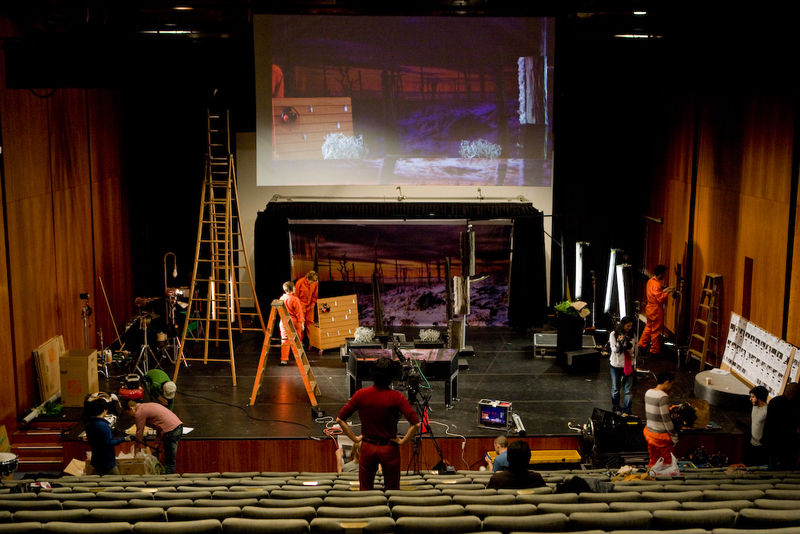 Yeondoo Jung, Perfoma09, Cinemagician, Projection Size Varies, Projection and Performance, Duration 51 minutes. Courtesy of the artist. Over a four-month period Jung collected 1, 200 drawings from children ranging in age between 5 and 7. From this collection of children’s drawing he selected seventeen to be made into photographic replicas of each child’s drawing. Wonderland is a photographic series that simultaneously shares the child’s fantasy and Jung’s photographic reality. By using adults as the “characters” of his photographic tableaux, Jung hopes that these images will simultaneously express a child’s view of an adult world, and visa versa. – Statement by the artist. Wonderland, drawing, 2004. Courtesy of the artist. Yeondoo Jung, 2004, Liverpool Biennale, Wonderland, c-print, print size variable. Courtesy of the artist. Borame Park was formerly an air force base that was used during the 70s in Seoul, Korea. At this time, military government in Korea prohibited social dancing as they considered it adulteress. To create a romantic atmosphere, Yeondoo Jung made wallpaper patterned with images of couples engaged in dance and lit the dance floor with warm tones that were energized by a small spinning disco ball. Now, people dance their hearts out in the evening and are inspired by the images of others that surround them. – Statement by the artist. Yeondoo Jung, Gwangju Biennale, Borame Dance Hall, 2002, Installation, Photo images heat transferred on wall papers, 56 images patterned, size varies to the space. Courtesy of the artist. 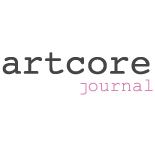 This entry was posted on January 24, 2013 by artcore journal in Volume 1, Issue 2: Biennial and tagged Cinemagician, Gwangju Biennale, Liverpool Biennial, PERFORMA, volume1 Issue 2: Biennial, Yeondoo Jung.